Tag Archives: Graduate Medical Ed. Peter Rosen, M.D., F.A.C.S., F.A.C.E.P., F.A.A.E.M., a senior lecturer on medicine at Harvard School of Medicine and attending emergency physician at Beth Israel/Deaconess Medical Center took a look back at the evolution of emergency medicine at the UMKC School of Medicine’s W. Kendall McNabney Endowed Lectureship on May 3. Rosen discussed his career, which began as a general surgeon only to change specialties after suffering two early age heart attacks. He has since become one of the foremost leaders in developing emergency medicine as a specialty. 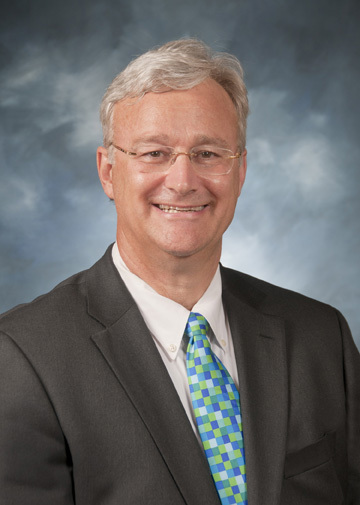 He has served in numerous leadership positions with the American College of Emergency Physicians and the American Board of Emergency Medicine and has received many awards for his role in expanding the emergency medicine as a specialty. 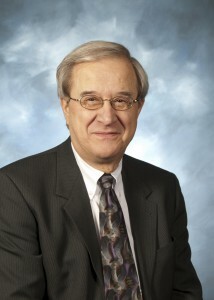 Rosen played a significant role in developing the emergency medicine residency program at Denver Health Medical Center. A graduate of Washington University School of Medicine, he completed an internship at Chicago Hospitals and Clinics and a residency in emergency medicine at Highland County Hospital in Calif. He has since served as editor in chief of the Journal of Emergency Medicine and other publications and authored many books and articles on emergency medicine. 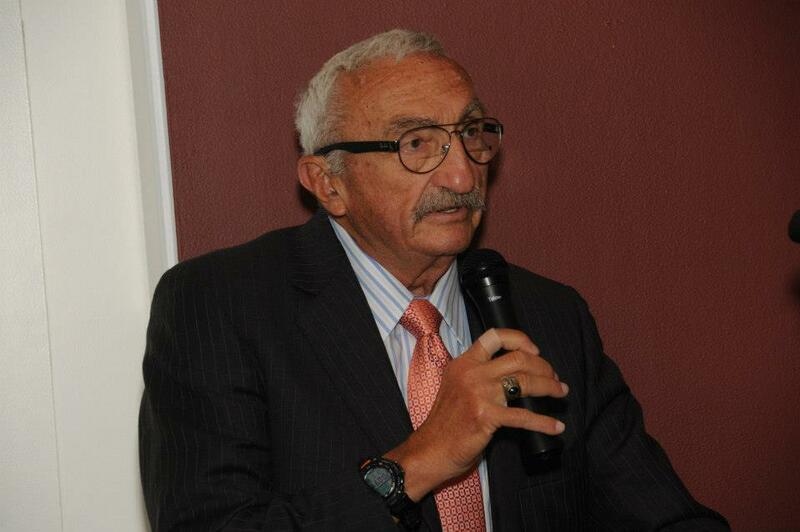 Rosen currently serves as a visiting professor of medicine at University of Arizona. 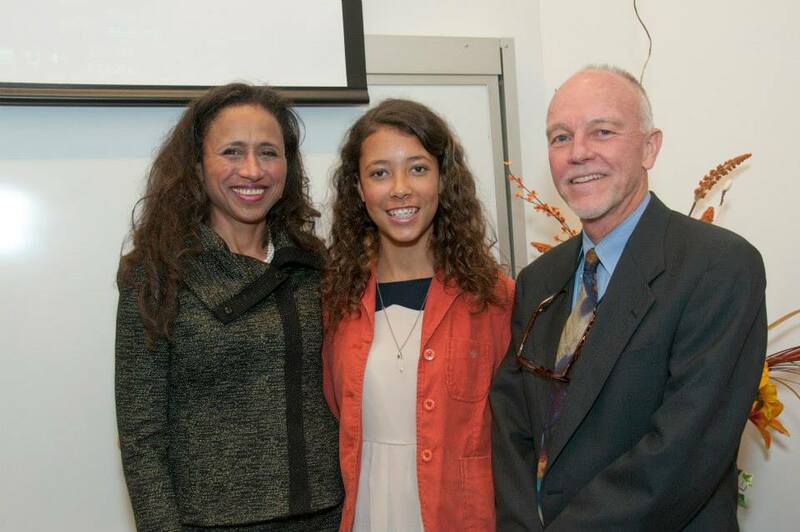 This year’s McNabney Lectureship took place as part of the School of Medicine Emergency Medicine Residency program’s 40th anniversary celebration. 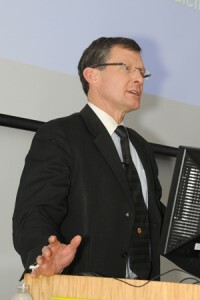 Mark Wilson, M.D., M.P.H., professor and director of graduate medical education at the University of Iowa Hospital and Clinics, delivered the 2012 William Goodson Lectureship on Nov. 9 at the UMKC School of Medicine. Patients deserve the best from their physicians. That means pursing the mastery of good doctoring as a 21st Century physician, said Mark Wilson, M.D., professor and director of graduate medical education at the University of Iowa Hospitals and Clinics. 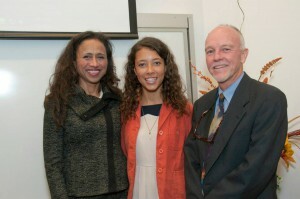 Wilson spoke to physicians and residents at the 26th annual William Goodson Lectureship on Nov. 9 at the UMKC School of Medicine. Wilson is a general internist who launched a cross-departmental initiative in chief resident leadership development at the University of Iowa. 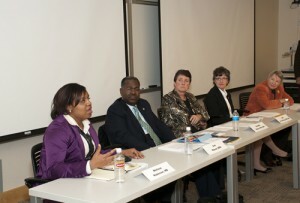 He also implemented a certificate program in educational leadership for program directors. Wilson said he believes there are things in the current medical education environment that are impairing the aspirations of resident physicians. “Many of the messages they get are focused just on competency and not on mastering the pursuit (of excellence) and not on an excitement about pursuing that mastery,” Wilson said. Wilson discussed factors that influence a person to pursue a mastery of their profession such as an inner drive and passion for the task at hand. It’s also important, he said, to spend time with true masters of their craft and to have exposure to role models, coaches and mentors. Mastery requires that knowledge be laced with keen observation and communication skills as well as a curiosity and fascination with the human condition, Wilson said. Many things, he said, must take place for one to be productive and successful in health care. That includes teamwork and encouragement along the way. 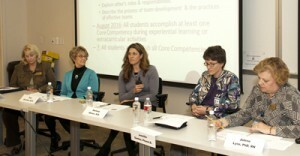 “It’s important that learners know that it is possible to master their pursuit,” Wilson said. Saint Luke’s Mid America Heart Institute, in affiliation with the University of Missouri-Kansas City School of Medicine, has received accreditation in advanced heart failure/transplant cardiology by the Accreditation Council for Graduate Medical Education (ACGME). The accreditation puts the Heart Institute in an elite group of just 24 out of 180 cardiology training programs across the country accredited to offer advanced medical training in heart failure and transplant to its cardiology fellows. It is the only accredited program of its kind in the region. The initial accreditation is effective through July 2015. The hospital can now begin accepting applications from cardiologists who have completed three years of fellowship training at an ACGME approved program. Trainees in the 12-month program will learn to manage heart failure patients by determining whether they would be best served through medications, a heart transplant, or implantation of a mechanical ventricular assist device, using established and leading-edge treatment options. Heart failure occurs when the heart muscle cannot pump enough blood to meet the body’s needs for blood and oxygen. It is one of the most common reasons for hospital admissions for people age 65 and over, but isn’t limited to seniors. Saint Luke’s heart failure and transplant program works in concert with cardiothoracic surgeons, who operate the only adult heart transplant program in the Kansas City area, receiving referrals from cardiologists across the region. Heart failure specialists assess patients and determine whether they would be best served by medications, a heart transplant, or implantation of a mechanical ventricular assist device. The heart failure physicians and heart surgeons co-manage patients following surgery. 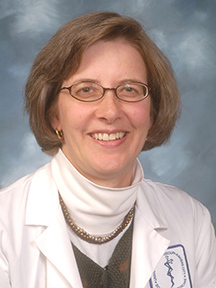 The program includes full-time research nurses; early-stage heart failure management; a cardiopulmonary exercise lab dedicated to evaluation of patient therapy, exercise tolerance and diet modification; and ongoing education on the diagnosis, prevention, and treatment of heart failure to health care providers and the community. Saint Luke’s offers the region’s only team of physicians who have attained board certification in advanced heart failure and transplant cardiology from the American Board of Internal Medicine. Care is provided at Saint Luke’s Hospital’s Wornall Road campus near the Country Club Plaza and other Saint Luke’s hospitals in the region. 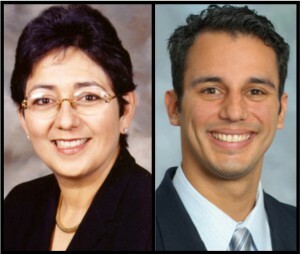 The Radiological Society of North America (RSNA) honored Melissa Rosado de Christenson, M.D., F.A.C.R., professor of radiology and chief of thoracic imaging at Saint Luke’s Hospital, and Jorge Vidal, M.D., UMKC radiology residency alumnus and volunteer clinical assistant professor, as 2012 Honored Educator Award recipients. Vidal is also an assistant professor at the University of Puerto Rico. The annual RSNA Honored Education Award, which began in 2011, recognizes RSNA members who have delivered highest quality education in their field. Rosado de Christenson and Vidal were two of only 44 recipients from across the country for the 2012 award. Candidates must also participate in at least two educational categories, and may not earn credit for more than two activities in any given category. Based on the number of qualifying activities completed, the most eligible RSNA members are presented with the Honored Educator award in recognition of their contributions.